You can download my documents HERE. 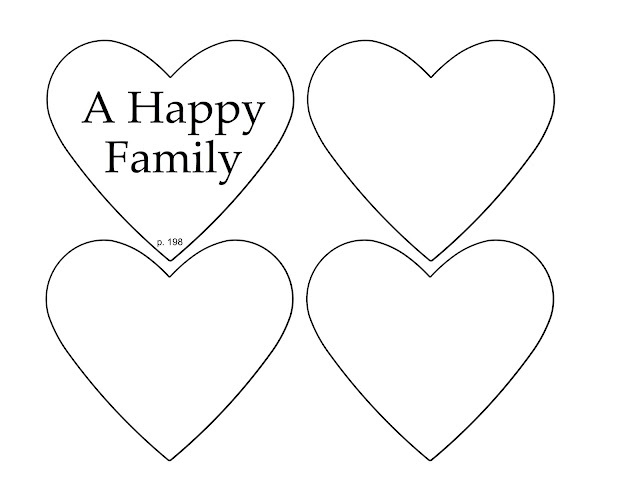 I'd recommend printing the first page on white card stock and then printing the other pages in pink and/or red. 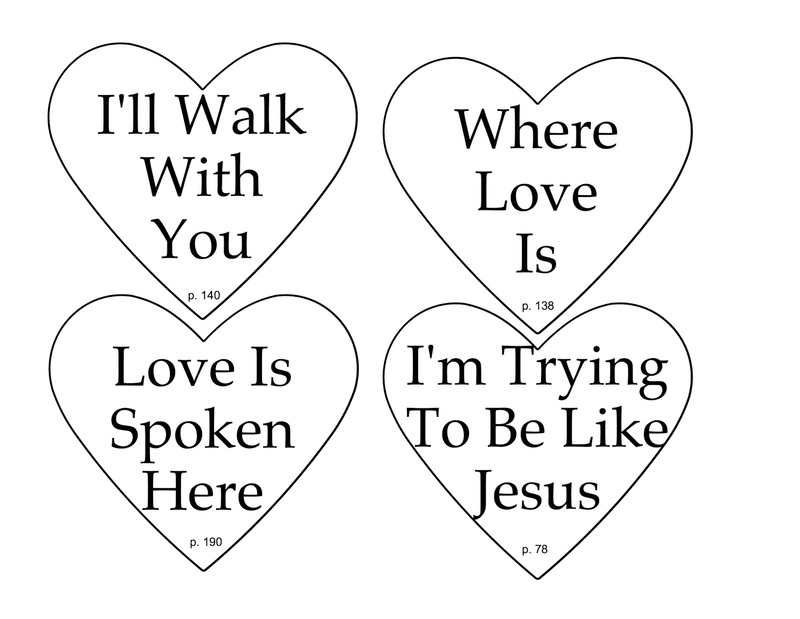 Then laminate everything. The big blank hearts are if you want to choose some of your own songs other than what I have suggested. 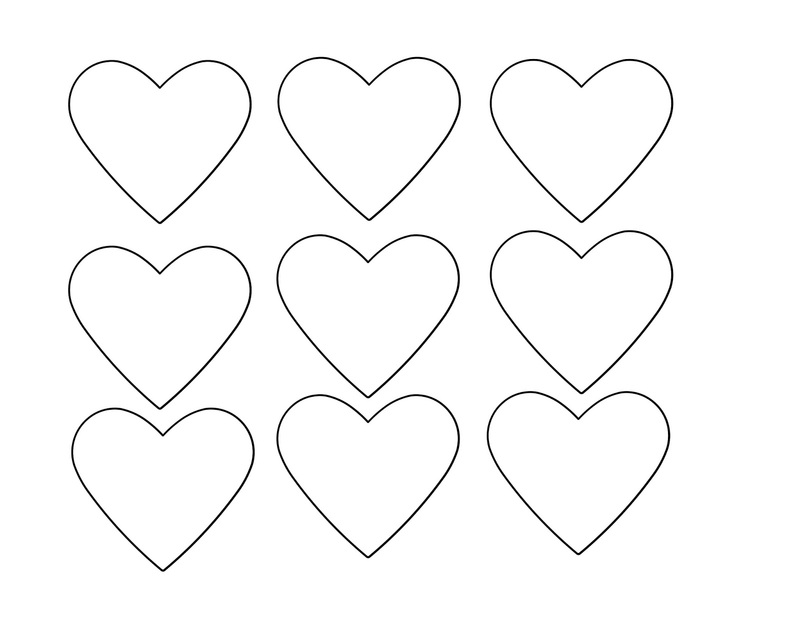 The small blank hearts are for decorating your chalkboard. Cut out hearts then laminate everything. The pianist will start playing the first song on her list. The names of all the songs are posted on the board as hints. The first one to guess the name of the song and ring the bell wins the round. Sing the song (post the words if you like), and repeat with new team members and the next song on the list. For Junior Primary I do something very different. I like to just give everyone a handbell (no teams) and we sing the songs in order so no guessing the song's name. Whenever we sing the word "LOVE" everyone just rings their bell. I always over emphasize singing "LOVE" and the kids end up following me. I love this!! Thank you so much for just the idea I was looking for!! I did this last year and it was a big hit! I can't wait until tomorrow to do it again. Thanks for the great ideas!! I used this last year. How I loved pulling it back out with everything all ready to go! Thanks for your help! 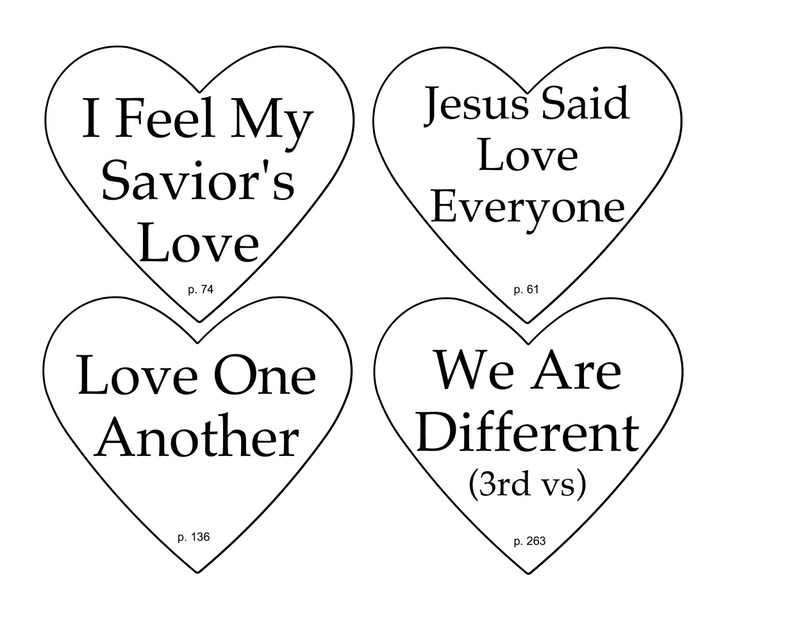 In Junior Primary, I chose something silly to do on each love song (pop out of your chair on the word LOVE, fold arms and switch them on love/reverence, etc.) I think during the Temple song we had a "temple building" contest with blocks. And, for happy family, volunteers dressed up like Mom, Dad, sister, brother, Gma, Gpa." 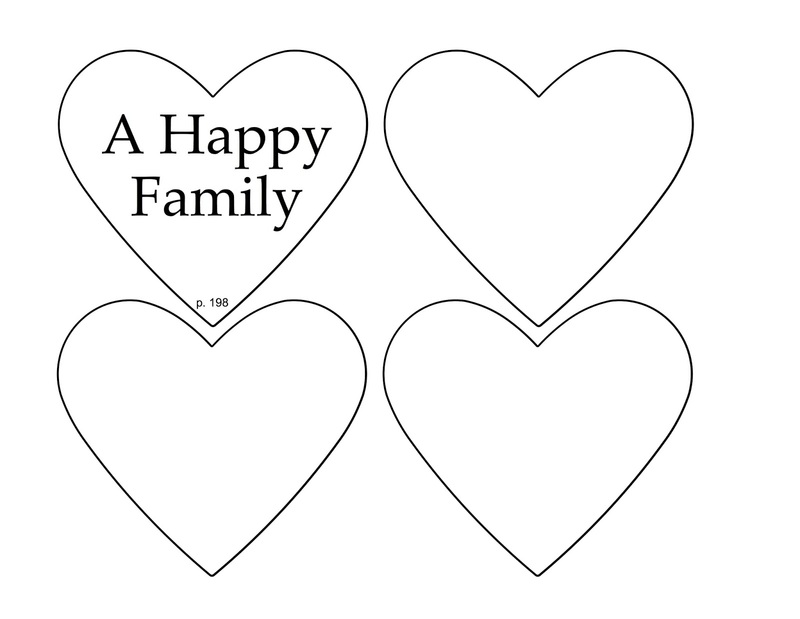 Fantastic idea and I love the printables. Thank you! Do this today and it was great! Thank you for all the ideas and printables! You are my favorite place to go to for help! Thank you for sharing!! So do you have them ring the bell first? Which ever one rings the bell gets to guess? Adrienne, yes, whoever rings the bell first, gets to guess. If they guess incorrectly, the other team gets a turn. I hope that helps!